We all know by now just how much I've become obsessed with Lorde this year, Melodrama is just a masterpiece that everyone should listen too. Last sunday the annual VMAs took place and Monday morning as we all got to see the red carpet looks, Lorde stood out for me. I'd like to think its not just because I am always drawn to purple and she was a purple goddess in that feather dress. But lets just focus on here make -up look for a moment, I'm just in awe of the balance between simplicity and coloured, sparkly eye make- up. As soon as I saw these pictures I knew I'd attempt similar looks for all my nights out soon. I started off doing my base the same as normal with foundation, concealer the contoured for some cheekbones highlight. I also did my brows the same as usual. For the eyes I began with the benefit cream eye shadow as a base, then used the pink sparkly bobbi brown eye shadow stick to add a base colour along with a few of the champagne shades from the Lo'real palette along the crease. Then I used that gorgeous glittery neon purple shade form the Make - up revolution unicorn palette. Then my fave parts using this insane lilac (most purple eyeliners are really dark purples but this one was the perfect lilac for this look) eyeliner for a thick straight line across the lash line, now for glitter, I just put some Vaseline onto my make up brush then into the glitter pot before covering my eyelids in a thin somewhat subtle amount of glitter. 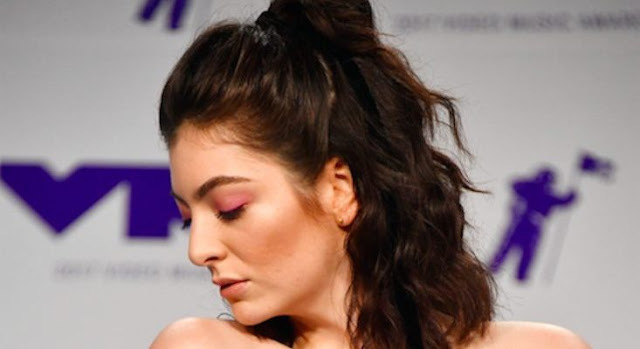 Lorde's lips just have a neutral gloss to them so I used a my lips but better kinda pink shade. 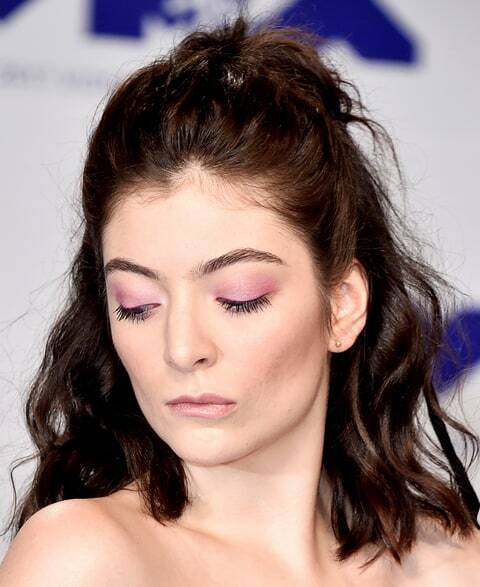 I know I've achieved this look in probably no similar way to Lorde or her make - up artist but I am obsessed with the outcome and as I said its for sure my new go to look for nights out.